Many people pack up their camping gear when Autumn rolls around, but true campers know that some of the best camping can be done in the fall. 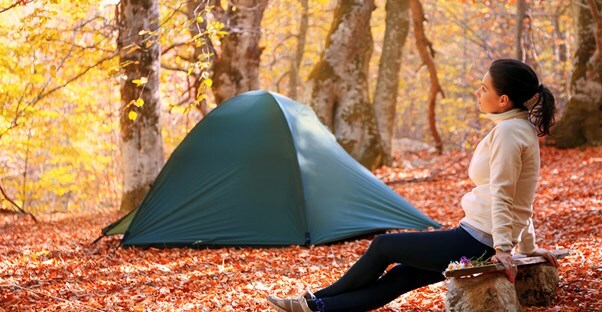 To be comfortable during those fall camping trips, there are a few things you’ll need to have, aside from your tent. Layers are important for sleeping and for clothing. What you have under you is just as important as what you have over you, so in addition to blankets and a sleeping bag, bring some extra padding to sleep on top of as well. A small air-mattress with a comforter would be ideal and keep you warm during the colder fall nights. A good sleeping bag is essential for the cool nights that come with fall camping. A mild day can become a cold night in the cool months, and a sleeping bag with multiple layers will provide you with the insulation you’ll need to keep warm. It isn't necessary to take something to keep your warm beverages warm, but it sure is nice. Having a cup of hot chocolate, coffee, or tea during a cool fall day is a nice way to relax while you stay warm. A good thermos offers extended access to your favorite warm beverages. Food and a way to cook it. Hot meals are another tasty way to keep warm during cool fall days. A small campfire or propane grill will allow you to make all kinds of meals when you need them. Just remember that cooking times are longer in colder weather, so allow more time for cooking.